We have one of the area's most comprehensive full breakfasts. 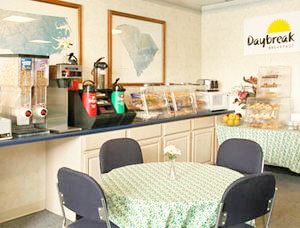 The menu includes coffee, tea, hot chocolate, juice, bagels, fruit, cereal and a host of assorted pastries. Breakfast is free to all guests and is served daily from 6:00 am till noon.